It looks like a rewrite of an entire section of my murder mystery is in order. While contemplating what needs to be adjusted I distract myself with this pretty image captured on a recent walk around the neighbourhood. 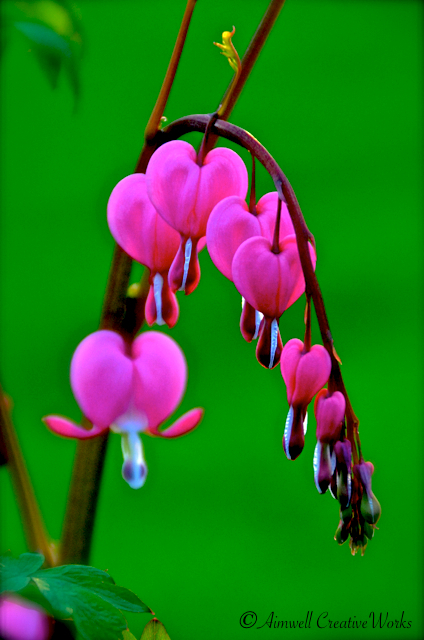 This entry was posted in Flowers, Garden, Nature, Photography, Uncategorized, Writing and tagged Aimwell CreativeWorks, Bleeding Heart, Dorothy Chiotti, flowers, gardens, murder mystery, Photography, pink, spring, writing. Bookmark the permalink. I love these!! what a vibrant photo!! I do love bleeding hearts 🙂 Lovely vibrant photo!